A new category of rotorcraft promises much for safety – if it can be developed into a marketable product. The helicopter is a paradox. Because one of its functions is rescue, it’s the only form of transport that has saved more lives than it has claimed. Yet if any machine deserves the insult of being called inherently dangerous, it’s the helicopter. The nature of conventional helicopters – a big rotor spinning in one direction and (to offset torque) a smaller tail rotor spinning against it – makes them inherently complex to fly, and inherently prone to single-point catastrophic failures. All helicopters come with two long lists as standard: dangerous aerodynamic, harmonic and gyroscopic states the pilot needs to be aware of; and components whose failure in flight (or even on the ground) can doom the aircraft. According to the US National Transportation Safety Board (NTSB) there have been 1470 helicopter accidents, with 477 deaths and 274 serious injuries, in the United States in just the last decade. The NTSB says this is due to the ‘unique characteristics of helicopter operations’ and as a result, placed helicopters on the ‘most wanted’ list, making them a safety priority for 2014. The relatively poor safety record is echoed in Australia. The Australian Transport Safety Bureau (ATSB) reported that between 2003 and 2011 private/business helicopters had an accident rate of 215.6 per million hours of flight, 62 per cent higher than the 134.1 experienced by private/business aeroplanes. 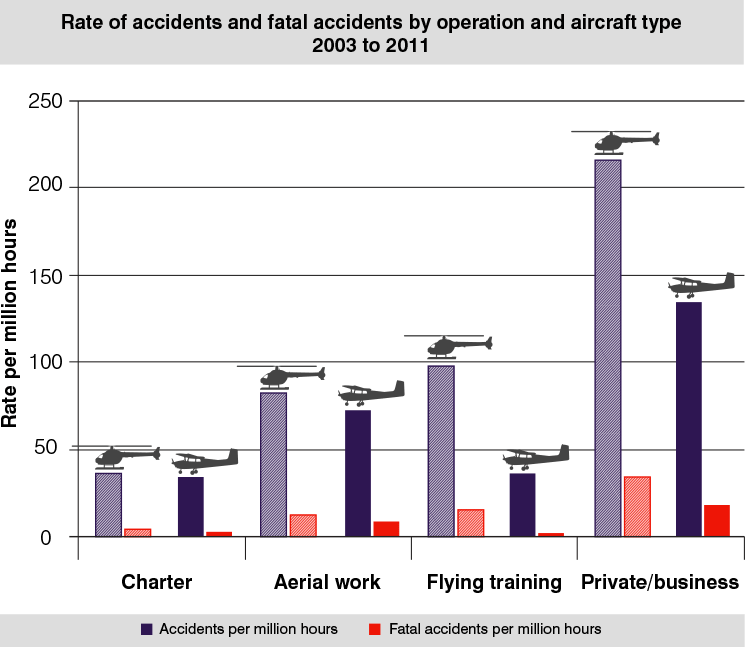 Furthermore, over that same period the fatality rate of private/business helicopter flights was almost double that of the fixed-wing comparison. A German company is hoping to change all that, claiming to have ‘revolutionised’ the helicopter – eliminating many of the major safety concerns along the way. 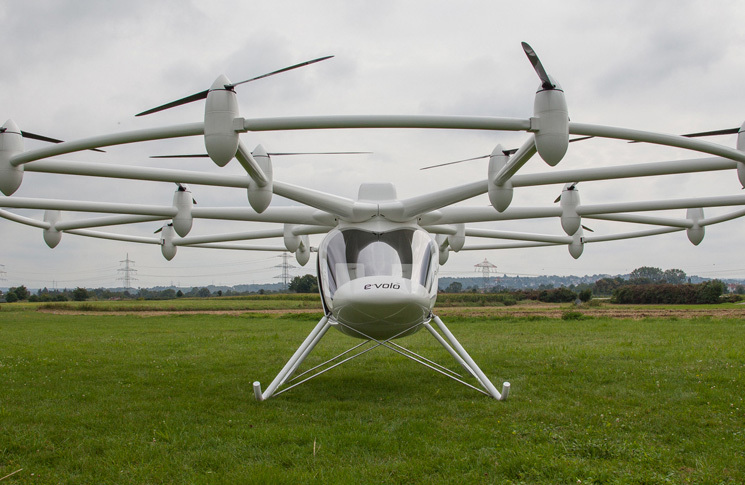 The VC220 Volocopter can seat two people and is designed to meet European ultra-light regulations. However, unlike conventional helicopters, which have one or two rotors – the Volocopter has eighteen – and they’re all battery-powered. 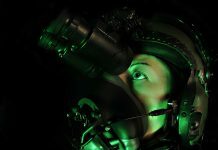 When vision of its maiden flight hit the web in late 2013, the sight of smooth remote- controlled hovering indoors gained a lot of attention. It’s not just the sheer number of rotors that provide the in-flight stability. The Volocopter is, of course, fly-by-wire. With 18 rotors to coordinate it could hardly be anything else. But, fly-by-wire has the additional advantage of making flying the Volocopter (according to the manufacturer, e-volo) ‘child’s play’. E-volo also says that because the Volocopter is so user-friendly and easy to fly, ‘the pilot needs to pay little or no attention to the flight path angle, minimum speed, stall, mixture control, (and) pitch adjustment’, which e-volo argues make conventional helicopter flights so demanding. As a regulator we’re not sure if we like the concept of ‘paying little or no attention’ to aspects of flight, but the point is well made that the multi-rotor configuration is benign. The 18 rotors (divided into six sectors with three props each) generate all the ascending force required for flight – direction and steering are achieved through selective changes in rotor speed. The computer systems, which all act independently, monitor the performance of each rotor and are programmed to compensate for any loss of power. In fact, the Volocopter can run on just 12 of its 18 rotors, making it safe to fly ‘even if several drive units (rotors) fail’. However, the level of redundancy doesn’t end there. Like an extravagant stunt from a James Bond film, even if six drive units or more were to fail, the Volocopter is fitted with a ballistic parachute, allowing the entire aircraft to float safely back to earth. ‘The integral part of the safety of the Volocopter is the redundancy of its components’ says e-volo. ‘All safety-relevant systems are present in multiple numbers’. While the 007-style parachute will no doubt capture the media’s attention, the dramatic reduction of vibration may have more potential for mitigating one of the major safety hurdles in rotor-wing aviation. These advances, coupled with its environmentally friendly and emission-free power plant, earned e-volo the Lindbergh Prize for Innovation. Erik Lindbergh, grandson of ocean-crossing pilot Charles Lindbergh, awarded the prize saying the Volocopter ‘holds significant promise to radically change short-distance transportation’. While noting the lengthy development ahead, upon reaching the commercial market he believed, ‘it will dramatically change the way we move about the planet’. 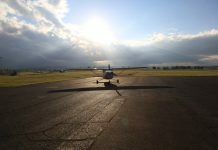 The current limiting factor however, much like that of electric cars, is the energy capacity of batteries presently available, with flight time restricted to 20 minutes. E-volo is banking on a ‘considerable advancement’ in technology over the coming years and is currently working on a hybrid model with a combustion motor, which, by acting as a generator to continuously recharge the batteries could drastically increase flight time to several hours. Volocopter has come a long way in two years, since the 2011 proof-of-concept flights in a machine with metal struts, exposed wiring, and a yoga ball under the pilot’s seat to serve as an air-damped landing gear. Currently, the Volocopter is undergoing extensive testing on its passenger cabin, rotor array and landing framework. Once passed, e-volo will be granted a provisional airworthiness certificate to fly in a two-year trial program, carried out in collaboration with the German Federal Aviation Office (LBA). Trial completion will lead to a ‘Volocopter’ aeronautical classification being established, enabling serial production and anyone with a German private pilot’s licence to fly them. The levels of redundancy in the Volocopter, along with its smooth flight and ease of control make it an encouraging safety prospect. When combined with its ‘green’ credentials and its potential for various applications (concepts for search and rescue variations have already been published) it’s easy to see why the Volocopter has captured interest. 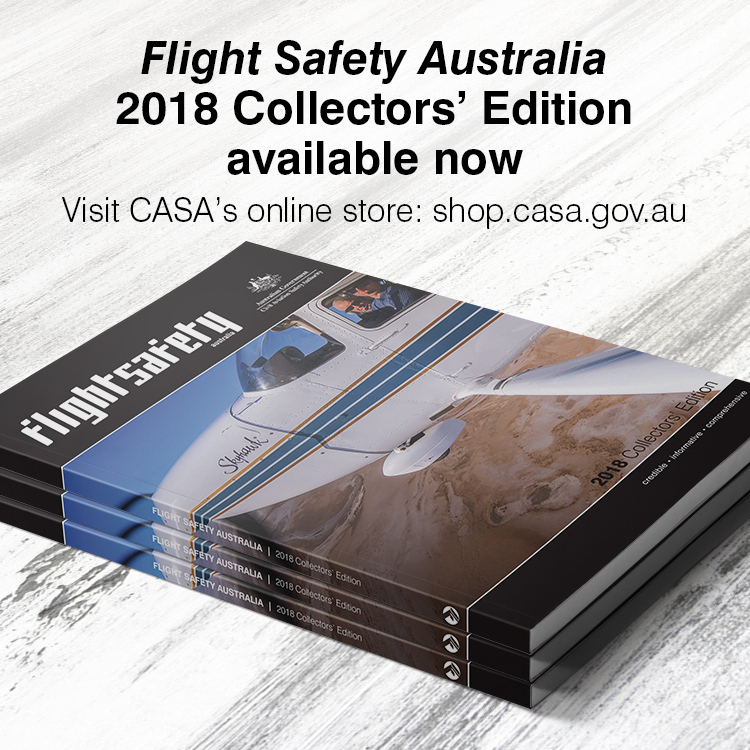 Future editions of Flight Safety Australia will perhaps compare it with the bad old days, no doubt while also lamenting that a few people are still managing to find ways to crash it.